People with disabilities or age-related restrictions need accessible entrances, toilets and rooms. 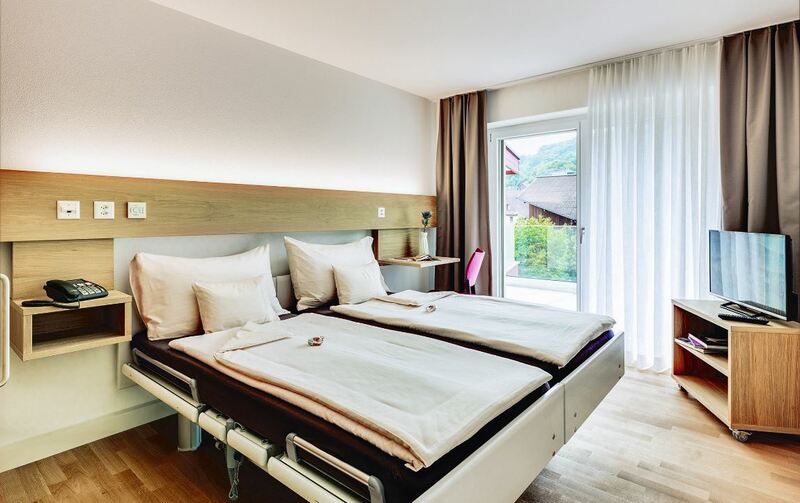 From 2018, the Swiss hotel database will contain comprehensive information on hotel accessibility, which tourism platforms can use. The aim is to make searching for accessible hotels easier for accessible tourism guests thanks to reliable information visible on tourism platforms. As part of the cooperation project between tourism and disability organisations, standardised information criteria and pictograms will be coordinated and the necessary data will be recorded uniformly. Finally, they will be made available to tourism platforms via the Swiss hotel database in the form of differentiated information on accessibility in hotels.